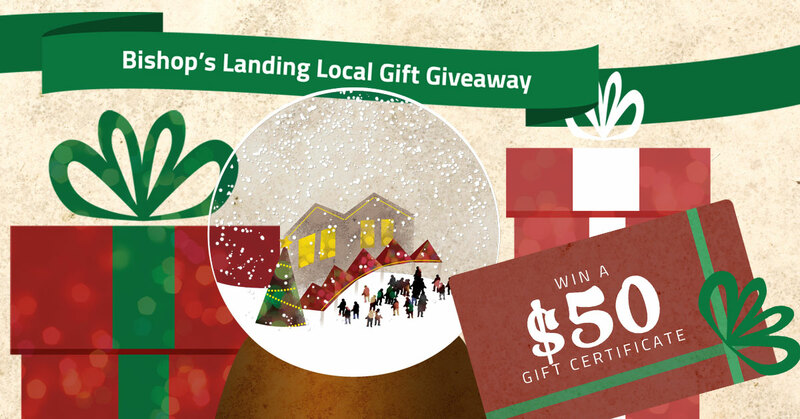 ‘Tis The Season to Win at Bishop’s Landing! Here at Bishop’s Landing, we truly believe it’s better to give than to receive. That’s why this holiday season, we’re giving away a $50 gift certificate every day from December 1st through December 17th! These gift certificates can be used at any one of the independent retailers or restaurants here at Bishop’s Landing. But, that’s not all—we’re also giving away one $500 shopping spree grand prize at Bishop’s Landing! What better way to finish your (local!) holiday shopping than to let us take care of the bill?